Your car is definitely more than just a medium of transportation to you, and we are all aware of that. But when the car is troubled from some unexpected problem, that should bother you in the first place. 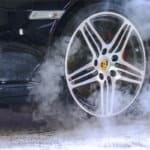 In today’s post, we are talking about the problem when your car makes a humming noise when accelerating. Well, there are a few types of noises which are pretty usual to happen. And you don’t have to take any precaution if you find the presence of those noises. But the humming noise is not one of them, especially when it takes place in sudden times like accelerating. However, we have got a complete solution to this problem in today’s post. We’ve checked out every possible reason, and provide solutions accordingly. Stay with us till the dead bottom. Well, this problem that we are talking about can be caused by a number of reasons. It can be in the transmission sector, it can be a fault in the steering, or it can be an engine issue as well. We will talk about every possible problem and try to troubleshoot the exact problem. In the end, you should be expecting to understand the reason of your car making humming noise while accelerating. First thing first, the source of the noise can be a problem occurs right in the engine section. But there is no specific problem that can create humming noise on your car while accelerating. It quite depends on what car and engine you are equipped with. So, we would suggest you go for a complete car engine system checkup for quality apt fitment. There can be leakage in either the exhaust system or the power steering system. Although both of them are leaks, you can not address them in the same manner. After a full engine system checkup, if you find a leakage in any of these two spots, you should go for quick leak repairing actions. To drive the car’s tires, belts are required. But when the belts get to loosen up for several reasons, that can cause a whining or humming noise in the engine. There can be two kinds of faults in a car engine power system. Number one- a faulty power steering system, and number two- carriage of low fluids. Either way, you need professional help to get it done properly. Another possible culprit behind such noise creation is the fault in the transmission section. In fact, it’s one of the most likely reasons, why you’re suffering from such noise issues. Worn up gears of the transmission system. Low or bad transmission fluid. Once you speed up or accelerate, the first section of the car system that gets affected is the transmission section. There is a number of gears that form a complete transmission system of the car. And for regular uses, those gears get worn out. That can cause noises and vibration while you’re trying to accelerate the car. Another part of the transmission system is the transmission of fluid flow. And this is also likely to be the source of the problem. If the transmission fluid gets low, such noises and disturbances take place, which results in the bad driving experience. If you can pinpoint that the fluid flow is the reason behind, we highly recommend you to change the transmission fluid and replace it with a good quality version. To solve out the problems, you need to notice exactly when this noise is created and determine which part of the transmission system is actively interacting right at that moment. If you’re not able to determine the exact part of the transmission, you should get some help from a professional mechanic. The third reason that we’re talking about, is regarded to the steering system. There are a couple of problems and each of them can be the reason behind your problem individually. First one is- a turned steering wheel. When your car steering wheel is not in a neutral position, that can cause whining or humming noise in the car. You should check out for alignment problem in the car to solve that problem out. The second possible reason is, a loosen up steering belt. If the belt goes loose, that can cause some serious impact including noise while accelerating. And that can lead you to accidental issues in worst cases. If you check and find out that steering wheel is lost, you should immediately change the car steering belt and replace it with a good quality one. Well, there is no short diagnosis or quick trick to solve out a problem like this. The car is a complex and complicated mechanism and the problem can be sourced from a number of places at a time. 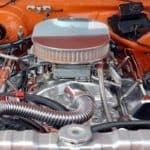 If you’re a non-mechanic car owner yourself, all you can do is locate the type of noise and the exact location of the noise source, and attempt a professional to help you out. You can use a recording device to locate the noise and note down the place for troubleshooting. There are many budget-friendly noise locators available in the market in this regard. If you want to get the idea of humming noise, See this VIDEO! We’re at the bottom of the article. We would recommend you to keep in mind all the possibilities and act accordingly while working on serious issues. If you see your car makes a humming noise when accelerating on occasional period, that might be sourced from just a malfunction which can be solved without any new parts replacement.